There is one week to go before voting in the Mt Roskill by election concludes and it is getting very interesting for all sorts of reasons. There is a poll suggesting that National’s candidate Parmjeet Parmar is struggling despite the Government’s current polling. If this bears out in the result the lesson will be that nothing beats a good ground game and a quality local candidate and Labour has both. Michael Wood is streets ahead of Parmar in quality. He has strong local links to the electorate. He lives there with his family, he chairs the Board of Trustees for his kids school and he represented it on the local board for the previous two terms. And he has strong progressive ideals which will go down well with the electorate. Parmjeet Parmar is a cold fish. This is unusual for an MP: good EQ, or emotional intelligence, is generally a prerequisite for getting into parliament. But I’ve watched her at various events: she doesn’t introduce herself to people and nor does she seem to have those “how are you, do tell me about your problems” conversations. When she takes the microphone she says the dumbest things and she doesn’t seem to grasp why an audience might get upset about them. Wilson also comments on National and John Key distancing themselves from Parmar, something I mentioned in this earlier post. Does Parmjeet Parmar care? She should, and not just because she’s going to lose: Labour has a poll that puts their candidate, Michael Wood, 30 points ahead, at 58 to 28. That’s a spectacular fail in an electorate where National won the party vote in 2014 by 2000. Worse for her, she’s been abandoned. Very few front benchers have turned up to support her and there have been no policy announcements that she could use in her campaign. Why? Perhaps they didn’t fancy Parmar’s chances anyway. 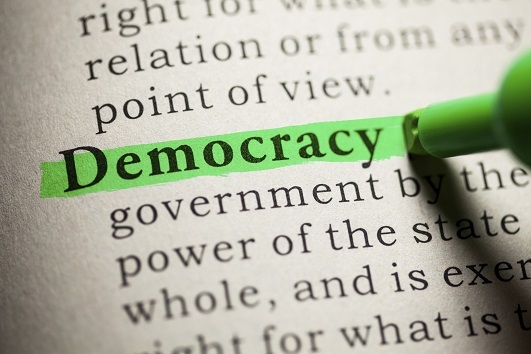 Perhaps they didn’t want the byelection to become a referendum on the government’s popularity. Both reasons seem pertinent. 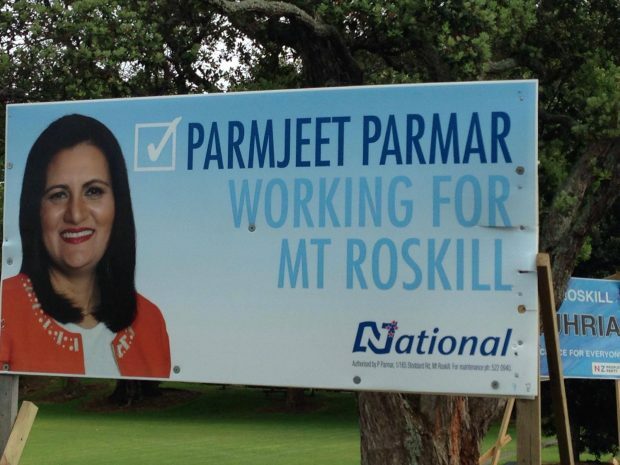 An Auckland man claims to have been harassed by a group of men who said they were associates of National’s Mt Roskill by-election candidate Parmjeet Parmar. Kriti Yatri says that after a dispute with three men at a pedestrian crossing in the Auckland electorate, he was threatened. “He got out of the car and he said do you know who I am? – I said who? He said I’m the right hand man of Parmjeet Parmar,” Mr Yatri said. The men then allegedly followed Mr Yatri home and threw an unusual – and dangerous object at him – a horse shoe. The horse shoe reportedly missed Mr Yatri, and the men fled the scene. Parmar denies knowing who the men are, despite being shown a photograph of them captured by CCTV. But here is the strange thing. Mr Yatri laid a complaint with the police about the incident. He followed it up this week but was told that the police have destroyed the horseshoe. You would think that the police would treat an allegation involving supporters of a Government MP to be treated with a certain amount of seriousness. Destroying the primary piece of evidence is reckless at many levels. Key has probably been a bit distracted by minor things like earthquakes and APEC, but he spent time in Mt Roskill yesterday. However he doesn’t appear to have high expectations of a National win there. It was always going to be a difficult one for them, I don’t think a Government MP has ever won a seat of the Opposition in a by-election. This byelection is starting to take on a strong smell of Dirty Politics. There appears to be much going on behind the scenes. A last ditch attempt by the National Team to win by cheating and smearing? As for the police… they prefer to run a mile from politically motivated crimes, especially if it is detrimental to National members of government. A weird story alright. And to think Parmjeet Parmar is already a sterling example of Government MP. Was she chosen to be on the list because of her race and gender rather than quality as a person? You mean like half Labour and Green caucuses . One thing about the caste system is people just accept the situation they’re in, next time around if you’re a good person you move another rung up the ladder. Creates a rather harmonious system. As for viewing NZ as a place where private economic gain can be pursued , wtf ? do you think this is or should be communist Russia.? Bettering yourself is why people come to NZ. No it doesn’t as the various revolutions throughout history prove. As for viewing NZ as a place where private economic gain can be pursued , wtf ? Private economic gain always destroys the society through the greed and hubris of those who want to be rich. It is capitalism that destroys societies and their riches. Indian culture in the subcontinent looks very mixed to me. Muslims, Tribals, Dalits, Hindu Nationalists etc. No harmony in the post independence massacres, the assassination of the head of state by her Sikh bodyguards, the continuing oppression of the Dalits. People come to NZ for many different reasons. I’ll bet you know people whose Dalmation forbears were here to dodge service in the Austro Hungarian Army or Jews escaping 1930s Europe or Iraqis escaping the recent shambles etc. Russia hasn’t been communist for 25 years: quite possibly longer than many commenters here have been alive. I knew you’d stepped in it, BM, when you said “one thing about the caste system is…” XD Even if you think a little economic inequality is okay so long as it benefits everyone, (and I do, for very inclusive definitions of everyone) any sort of ossified class or caste system is a supremely Bad Idea. Many of the best economic success stories are people who started out from humble means. We want people to be able to climb and fall in society according to their own merits, not according to their ancestors and their inheritance. So AB. What other cultures do you not find acceptable for imergration to nz ? Chinese ? Arabs ? Perhaps a list of cultures that would be good imergration would help us ? From having lived in more than half a dozen countries spread around the world, I can say there usually is an unwritten pecking order. I wonder what the list looks like here in NZ for a National or NZ First cf. Labour supporter. You are incredibly ignorant if you think any significant proportion of Indian emigrants (and also, Fijian emigrants of Indian ethnicity, or other cross-immigration from the general Indian diaspora) hold such views. Indian culture has a lot to offer New Zealand, and given that we’re embracing IT, a discipline in which ethnic Indians have managed huge penetration, (not that every Indian works in IT or medicine, stereotypes are bad mmmkay) we should absolutely be welcoming people of that ethnicity. Yep – I thought the TV1 story about the horseshoe was odd, too – we re-played it several times to make sure we’d heard it correctly ….. it was so strange. And stranger still that the cops “destroyed” the horseshoe – why? The whole episode is weird. What did they do? Melt it down? Maybe the horse shoe is a superstitious symbol in India? It certainly was in the UK. My great granny used to nail one up above the front door and another above the back door, points upwards so the luck would not run out. They watched over our going out and coming in. A sort of Pommy feng shui, in fact. No, quite the opposite actually. In that culture, hitting something with shoes is done to humiliate. Shoes are an abasement symbol. In the UK, historically, you could seal shoes into the walls of a newly built or altered house for good luck. The belief that shoes are a lucky symbol is also why we used to have silver or golden shoes on a wedding cake, and shoes as a playing token in Monopoly. The lucky horse shoe is a Monopoly symbol as well. I doubt the missing horseshoe has been destroyed. More likely to have been souvenired by a staff member with luck in mind! I normally dont bother with One news because of the way they report things and often have their facts wrong as they did again last night reporting that Michael Wood had got into a fight a few weeks earlier which as we all know was totally incorrect. As for the police destroying evidence there is nothing new here. Its either politically motivated or incompetence. You dont destroy evidence from a crime i would have thought. Either way it will cause problems if this makes it to court. You do if you’re an arrogant cop who thinks he’s the bee’s knees. Unfortunately there’s a few of them like that. They probably decided that because he was Indian they didn’t believe him. Saves bothering to investigate. Many women (and Maori) in bygone years can attest to the same response when reporting crimes against them. Meanwhile the police, as sharp as ever, focus on reports of a lame nag (possibly a zebra) ridden by three men aggressively making unwanted offers of marital troth in the Mt Roskill area. How do you destroy a horseshoe? Edit: my link failed, somehow. You put it on a police horse and invoke the police code of silence so it won’t say which hoof it is on? Ha! Invoke the “Mr Ed” clause! I like it. Destroying the primary piece of evidence is reckless at many levels. Wouldn’t it also be illegal? It can be perverting the course of justice Draco. Or tampering with evidence is another angle. Can’t imagine any cop’d be that stupid though. Also do we actually know these 3 guys were ever connected to the National one ? Sorry…….overlooked that vital question in my hooting initial response. To the Monty Pythonesque cloth in which National Party contestants historically drape themselves in Mt Roskill. Oh dear. The insecurity of list MPs. It’s all work and no play for swordfish. Thanks for the backgrounder SF. Tongue in cheek mosa. I admire swordfish’s abilities and contributions too. Cheers, Anne (and micky and mosa). But, Anne, you’re making me sound just a little bit nerdy. I may be looking just a tad middle-aged now – at the age of 52 – but I’ll have you know I was very much considered male eye candy back in my day !!! Mid-80s to mid-90s – everyone from middle-aged women (bored to death with their increasingly sclerotic husbands) to overly-excited Wellington college schoolgirls were swooning with wild abandon. Not least because – My cheek-bones were unusually high, my dark eyelashes were unusually long and my hazel eyes were considered unusually pretty by that half of society we endearingly call “the womenfolk”. And … Just to emphasise my non-nerdyness further – because you’ve obviously touched a raw nerve here – I would be letting myself down if I didn’t also point out that I played competitive football from the tender age of 8 right through to my late 30s. So, my argument is: Youthful, Sporty, Dark Good Looks and an outrageously nerdy interest in public opinion and election demographics. Ooh,ooh,ooh, the mind boggles. The imagination is running wild… the arthritic knees are fair trembling. The excitement…. @ greg. A bit of punctuation would make your comments easier to follow. It certainly is bizarre of the Police to destroy evidence within a short period of time of an incident. It makes me wonder as to what other evidence from other crimes have they destroyed? Surely this isn’t a one-off incident?! It’s also bizarre that Parmars ‘right hand man’ used intimidating tactics on a member of the public. Is this the Modus Operandi of the Parmars when they want to get their way? This ‘right hand man’ obviously learnt those words of “Do you know who I am…..?” off Aaron Gilmore. Bullying and intimidatoin comes across strongly as National Party tactics. Well done to the Parmars for showing to us NZers as to what a political party should never do. I am most certainly glad I don’t live in the Mt Roskill electorate. But if I did I would vote for Michael Wood. The National Party MP leaves a hell of alot to be desired. And if Mrs Parmar is the best that the National Party can provide then no wonder Key and co are coming across as major jokes. Be interesting to know what the police have to say about all this. Really strange , in a world where blog authors use pseudonyms , even presumably with nothing to hide , that a person would commit a crime and readily leave there details. Smells a lot this does , of a leftie attempt to smear an opponent. Apparently Mr. Yatri is smearing three very specific individuals whose photo has now emerged? Do go on.